What is a Workers Compensation Expert Medical Advisor? What is an Expert Medical Advisor? What is a Workers Compensation Plastic Surgeon Expert Medical Advisor? If you have ever been involved in a workers compensation case in Florida which has been litigated, you may have come across the term ‘Expert Medical Advisor’. This article aims to explain what an Expert Medical Advisor is, their role, and also how this applies to plastic surgery. An Expert Medical Advisor (EMA) is specific to the Florida Workers’ Compensation system. The role of an EMA is to “to provide expert medical consultation, opinions and testimony in disputes regarding care or compensation for Florida’s injured workers.” (Florida Division of Workers’ Compensation.) To put it simply. EMA’s provide an expert medical decision to help judges determine what treatment is necessary to treat an injured employee. Part of their role is also to protect employers and insurance companies to ensure that medical treatment is not overly excessive beyond what is required to return the employee to their original pre-injury condition. Expert Medical Advisors can be doctors of any specialty which is applicable to a workers’ compensation case. This is also applicable to a workers compensation plastic surgeon. In cases which require an expert medical opinion regarding a work related injury which may – or may not – require plastic surgery, a Workers Compensation Plastic Surgeon Expert Medical Advisor can be called upon. An example may help to illustrate this: If a fast food restaurant employee were to burn his hand at work, he may then require medical treatment. If this case were to become litigated – with the employer and the employee (or his attorney) – disagreeing about the amount of medical treatment required, then a Workers Compensation Plastic Surgeon Expert Medical Advisor may be called upon to provide an expert opinion. Where can I find an Workers Compensation Plastic Surgeon Expert Medical Advisor? Thomas Zaydon, M.D. has many years’ experience serving as a Workers Compensation Plastic Surgeon Expert Medical Advisor. 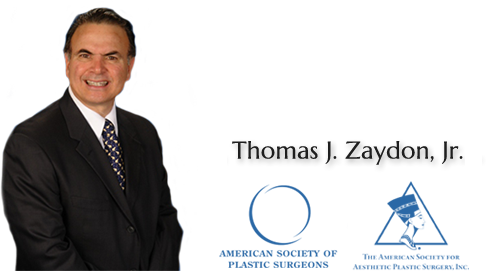 Read more about Dr. Zaydon’s role as a Workers Compensation Plastic Surgeon or Contact Dr. Zaydon’s office. This entry was posted in plastic surgery expert witness on August 1, 2017 by kpeacy.